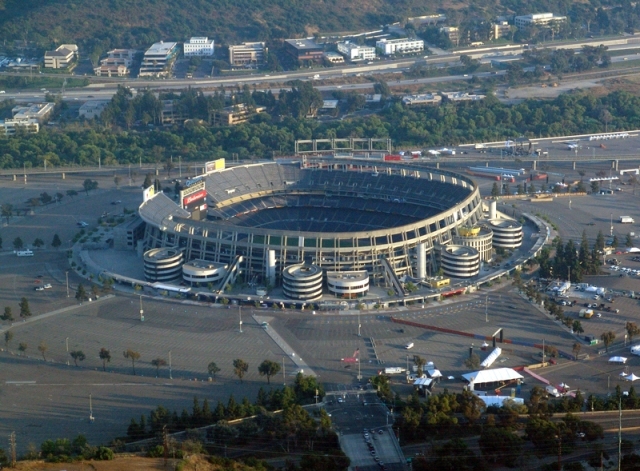 McLellan thinks that all evidence points to the city attempting – what he terms “the legally dubious move”- of getting a blanket CEQA exemption in order to advance any proposed stadium project to a December 15th vote – which has been proposed by Mayor Faulconer just recently. That is a California Environmental Quality Act exemption, because really there is zero precedent for a CEQA exemption succeeding here. Maybe with a stadium, but not with a massive development. You are basically talking about putting a new city into Mission Valley. There is no way you can discard all of the environmental laws there. The Chargers won’t go for that because that would be kind of the same muddied politics that lead to the convention center failure. So the Chargers don’t want to get involved with a bunch of lawsuits, environmental lawsuits. So, they need to create a clear path to development without using a CEQA exemption, because that is just not going to fly. I believe the city is prepared to argue that this method was successful in the City of Industry when developer Ed Roski proposed building a stadium in 2009. Roski was able to achieve an unprecedented exemption. However, Roski only got partial exemption to expedite litigation. He already had a full EIR when exemption was given. Ultimately he still needed to be CEQA compliant. What the city is proposing is unprecedented. They want to avoid environmental law altogether. There are already several groups who have signed a petition that would likely fight this move and tie it up in courts for years. Believe-it-or-not, I can assure that I do not believe that is something the Chargers support. They would much prefer a downtown stadium/convention center project. This is coming from the mayor’s office an attempt to defend CSAG’s recommendation of Mission Valley. This is not the only Southern California effort to get a CEQA exemption for a football stadium. Up in Los Angeles, AEG, owner of the Staples Center, wants a CEQA Exemption for a new NFL Football Stadium in downtown LA. A huge opposition to this plan has formed and 112 environmental, community, and business groups oppose a CEQA exemption. Will the city make this move? Dan McLellan used to work for Save Our Bolts group, and has a longtime history of supporting the Chargers stadium. I am 100 percent pro-stadium. I believe for San Diego to be successful in our efforts to keep the Chargers we must go about it legally and above board. I do not believe the Chargers will wait around if they believe our efforts will be subject to legally questionable moves that would likely derail any proposed project. What the city appears to be on the verge of proposing would be unprecedented if they want to avoid environmental law altogether. They haven’t even said they are seeking a legislative exemption at this point. A legislative exemption would appear to be almost impossible to achieve given the Democrats hold a super majority in the Senate and control the Governorship. It will be very problematic if they are going to argue that the stadium is categorically exempt from CEQA. I believe the Chargers are concerned about that. I tried to post a response to this, with links, but it did not appear… but there is a legislative history of waiving CEQA for a new stadium. It was in 2009- City of Industry arranged a similar scenario. Enviros and others opposed, but it was jammed thru in late session and Schwarzenegger signed it. No way will that ever happen, especially with the San Diego river being right there. Why should we forego an environmental review? The clean environment in California is what sets us apart from places like Texas. Truly an embarrassment that our our city leaders put so much effort, and our tax dollars, into promoting a privately owned enterprise that all studies show lead to significant financial losses for taxpayers. For what, a football team that rarely sells out the stadium seats and then have to be subsidized by taxpayers through the ticket guarantee? How about putting an equal effort into fixing our streets and the long obsolete Point Loma water treatment plant? Next election remember who had your priorities at the top of their agenda for the past few years.